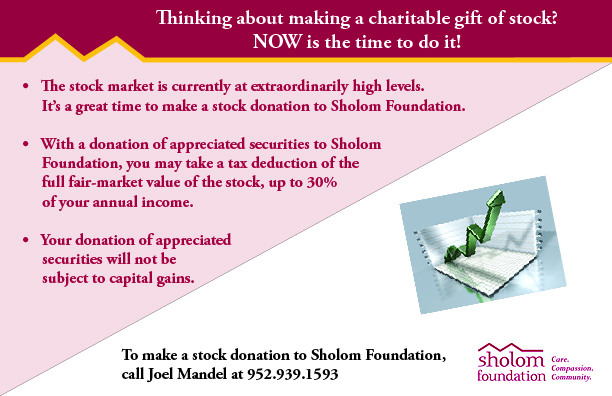 Planned Giving Home | Sholom - Care. Compassion. Community. Sholom Foundation's sole mission is to raise sufficient endowment and annual funds to generate financial support for Sholom services, facilities and programs for the elderly in an environment that reflects Jewish values; and, to provide excellence in care to those served by Sholom for generations to come.